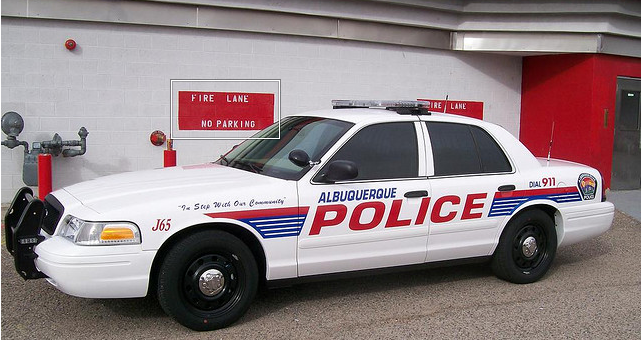 ALBUQUERQUE — It seems we are always re-visiting the Albuquerque Police Department on our websites. From former Albuquerque cop David Maes getting a mere probation sentence after he raped a woman in a hospital he was supposed to be protecting; to APD gunning down a schizophrenic man this past April. Though every cop in America already has incentive to murder citizens by being rewarded with paid vacations (aka “paid administrative leave”), Albuquerque police have taken things a step further. According to the Albuquerque Journal, APD cops who have killed citizens in the past two years not only were rewarded with paid vacations (which is standard protocol all across the country), but also got an additional $300-$500 from their police union if they were involved in the shooting. Albuquerque Police shot and killed 18 people from 2010-2011 by our count, with a majority of the victims being Latino. Last year, Alan Gomez was shot and killed by Albuquerque cop Sean Wallace because Gomez was “holding something black in his hand,” which turned out to be a spoon. Wallace was of course rewarded with a paid vacation, and received an additional $500 for the kill. Wallace received another $500 in 2010 for another shooting he was involved in. Felipe Garcia, the Vice President of Albuquerque Police Officers Association, angrily denied the “bounty” program, calling it a “private internal issue” for a “private organization.” He continued: “any claim or assertion that these are somehow cash payments for the officer merely shooting someone are absolutely ridiculous.” Joe Clure, of the Phoenix Law Enforcement Association (PLEA), said it is “insulting and very insensitive that somebody would believe that a police officer would factor in a payment for such a difficult decision.” PLEA also rewards its police who kill with $25 restaurant gift cards and sometimes $500 vouchers to hotels. PLEA also held a barbeque fundraiser last year for the defense of former Phoenix cop Richard Chrisman, who was charged with murder and animal cruelty after gunning down 29-year-old Danny Rodriguez and his dog in his own home. Albuquerque Police Chief Ray Schultz said he was unaware of the payments, and Mayor Richard Berry called for an immediate halt of the payments. The United States Department of Justice has already been involved in investigating civil rights violations by APD, and now activists and City Council members are calling for even more federal involvement. WHY DO WE ALLOW THESE KILLER THUG COPS TO RUN WILD IN THIS COUNTRY. THEY MUST BE STOPPED AT ONCE, THEY ARE NOTHING MORE THAN THRILL KILLERS WHO HUNT DOWN ANYONE THEY DO NOT LIKE AND KILL THEM. AND CROOKED DA’S AND LIAR JUDGES BACK THEM ALL THE TIME, WHEN THEY KILL UNARMED PEOPLE EVERYDAY. THIS cop, SHOULD BE EXCUTED AND BY THE PEOPLE NOT BY ANYONE BUT. BUT IT WILL COME OUT IN TIME AND HE NEEDS TO BE EXCUTED BY THE PEOPLE AND LEFT IN THE STREET AND PISSED ON. IT IS TIME FOR AMERICA TO STAND UP TO THESE THUG KILLERS, ONCE AND FOR ALL, STOP THEM, DECLARE WAR ON THEM, DO WHATEVER WE HAVE TO TO STOP THEM. THEY ARW WAY WAY WAY OVERPAID, NO TRAINING AND KILL FOR A BOUNTY… WE NEED TO ELECT PEOPLE WHO WILL DISBAND cop forces, WE DO NOT NEED THEM AND VOTE OUT CROOKED JUDGES WHO GIVE THEM FREE REIGN TO KILL OVER AND OVER. TIME TO KILL ALL COPS AND TAKE BACK AMERICA ONCE AND FOR ALL, ENOUGH IS ENOUGH !!!!!!!!!!!!!!!!!!!!!!!!!!!!!!!!!!!!!!!!!!!!!!!!!!!!!!!!!!!!!!!!!!!!!!!!!!!!!!!!!!!!! Just read the story on cops shooting Ginger the dog. Seriously, tase the dog if necessary, but shoot? Another trigger happy Alb. cop. Maybe the cops better start wearing metal cuffs around their ankles in case a Chihuahua decides to attack, I’ve got a two pound Chihuahua that could cause serious ankle damage, and metal helmets should a bird swoop down on them. Better yet, full body gear, ya never know when a mouse might scamper up their leg and a cop starts to shoot wildly at that mouse, we don’t want that.